Our eldest son has requested a room refresh and I totally don't blame him...it's been a few years since we've touched his room. Since we originally decorated his room (holy smokes, I should revisit the photography lol), he's gotten a bigger bed, which means the bedding has changed as well. Otherwise, not much is new....the stripes are still there, other than the bed, the furniture is the same. To be honest, the only new piece of furniture that he "needs" would be a desk. Something a little sturdier and something that most definitely has drawers/storage. We ended up moving furniture and art around, and we purged to get rid of clutter. His room has a new "feel" and so our job is done....for now lol. I fall hard for pennants, I think they are such a great piece to add to walls in kids' rooms and love how they give a bit of a nod to vintage design. So I said that he pretty much only needs a new desk, but reality is that a new (much cozier) desk chair would be amazing too. I realize now that a low and wide dresser would have been a better option for his room. One, it would give him more space to display items (on the top, more surface space) and two, it wouldn't break up your line of sight, which would make the room feel bigger. Perhaps we'll swap the position of his desk and his dresser to see if that helps. I feel that one thing we all can agree on is that kids don't particularly enjoy putting away their clothes, especially when they are dirty. A super cool hamper that can be left where the kids can easily chuck their dirty clothes into it is a win as far as I'm concerned! Same goes with the garbage bin, a woven basket is perfect for this, just line it with a garbage bag and you're good to go! Are you working on your kiddo's room at the moment? Wow, I must tell you, the arrangement you have made for your son is amazing. Anyone would desire such an amazing decoration. You have did it in a smooth way. I have noticed that you have not changed the whole set up. A small change resulted a beautiful room. Even I am thinking of changing my daughter’s bedroom. But I had no idea where to begin. I am happy to find this blog. Because this small tips will indeed help me to create my own style of decoration for my daughter’s bed room. My daughter likes to read. I am planning to place a book shelf. I love metal bed frames. Even my daughter does. So I am planning to change wooden bed to metallic bed. Kids like comic characters. So I would like to add some comic characters in the room like you have added pennants. I was so happy when I came across the blog. I was in search of such information. And I must say all articles in this blog are amazing. I read many blogs daily. But most of them does not even worth reading. I was really disappointed when it came to room decoration. I have gone through many blogs to find ideas regarding room decoration. After reading this I am confident enough to start my arrangements. Little tips that you have provided will come in handy. I am eagerly waiting for your next post. I also use the same idea for buy essays which provide great service for customers. Dresser you have mentioned seems true. Yes it will give a vast look for his room. Swapping will also work it seems. Placing an object in correct position will enhance the beauty of a room as you said changing the desk and the dresser. Really you have shared great blog. 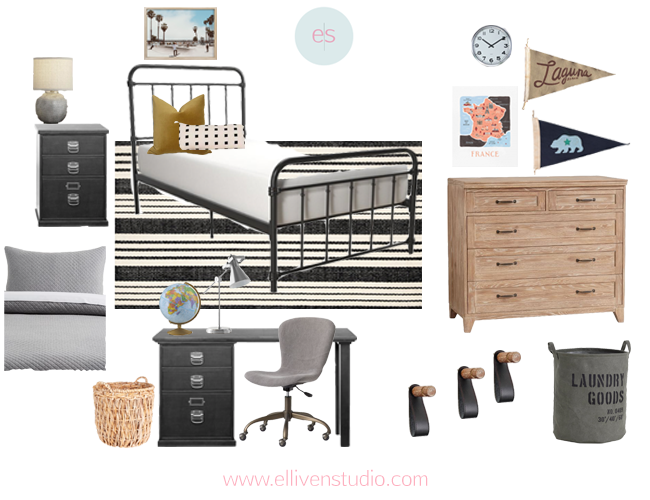 This blog post will be helpful for those who are planning to alter their bedroom.